I should have taken these pictures a week ago, the difference would have been much more dramatic. The first picture is of winter wheat. It was planted last fall, and i always one of the first things to green up in the spring. It grows up so fast in the spring that it chokes out weeds. 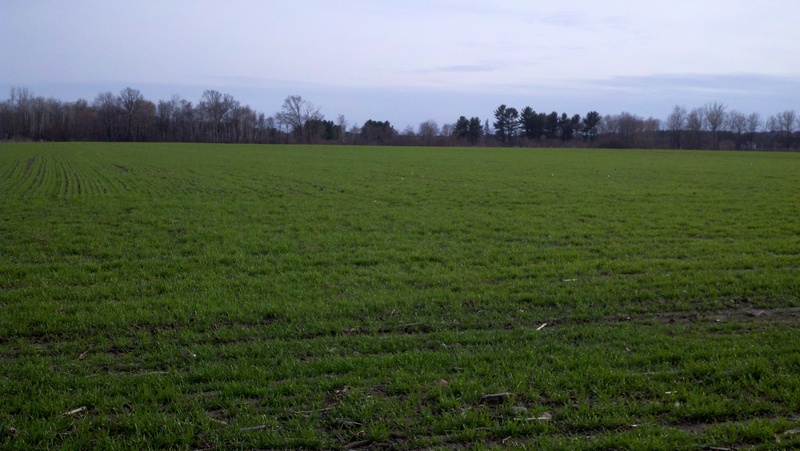 Rye is very similar to this, so the first bright green fields you see in Wisconsin are probably winter wheat or rye. The next picture is of a hay field. I was trying to show the difference, but it doesn’t show up very well in these pictures. Had I taken them a week ago it would have been very noticeable. The hay fields have really started to green up in the last couple days. One of these days we will actually be able to get in the fields and start our spring work. More rain is called for this week, so we are just waiting!